I am not sure of Acetyl-L-Carnitine effects just started it. Acetyl-L-Carnitine was recommended by my sister for extra energy. I was muscle tested and I need it. I heard from my chiropractor that this company makes good product. 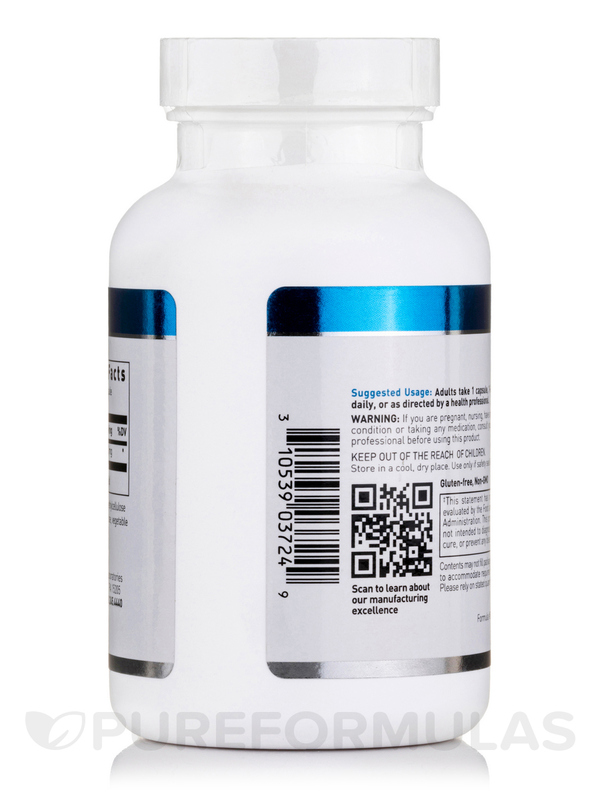 These capsules may be taken up to two times daily or as directed by your healthcare professional. 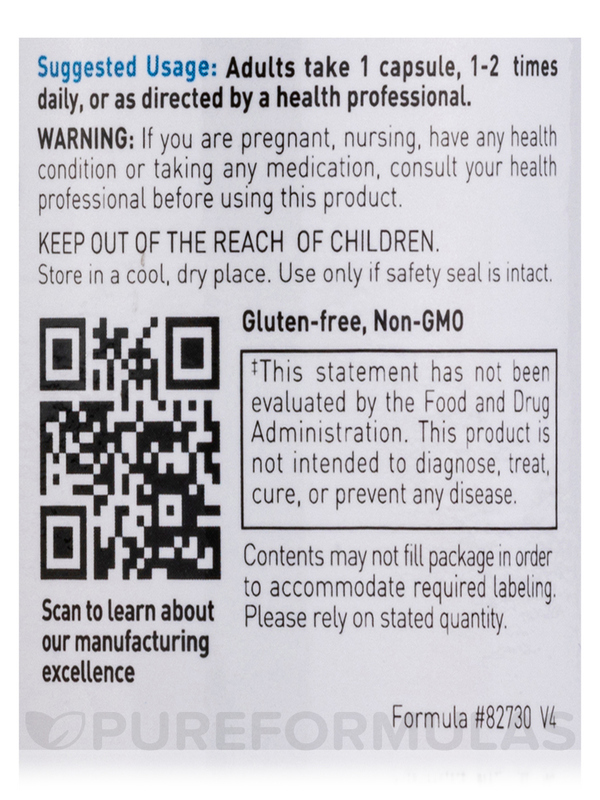 They contain no artificial colors or preservatives. Order with PureFormulas today for fast‚ free shipping‚ and the best customer service around! Recommended by my doctor due to having a low level of carnitine in my body. 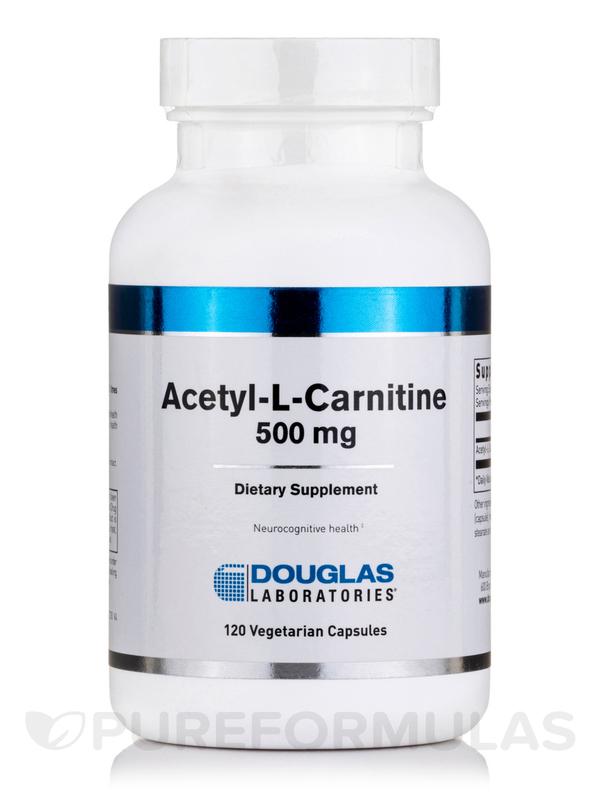 I will order Acetyl L-Carnitine 500 mg by Douglas Laboratories again. It is a smaller pill. Easy to swallow. 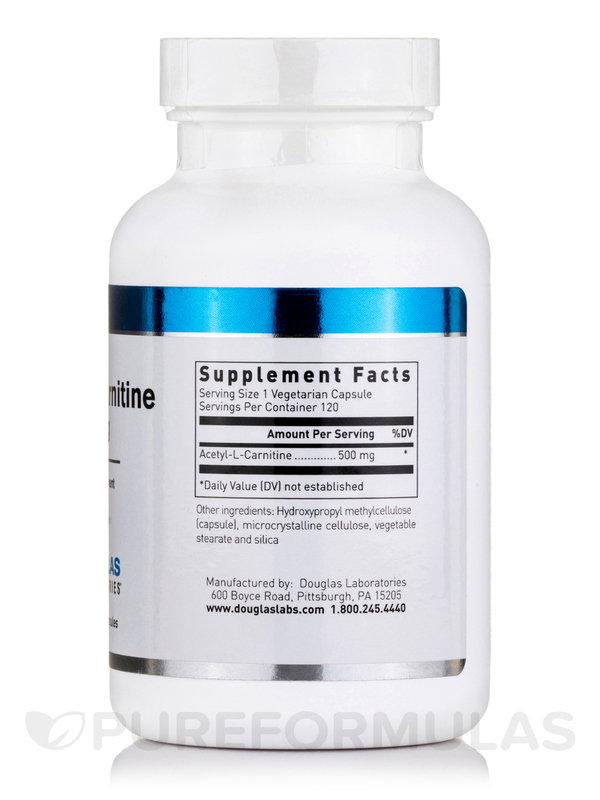 Acetyl-L-Carnitine is a good product recommended by my Doc. 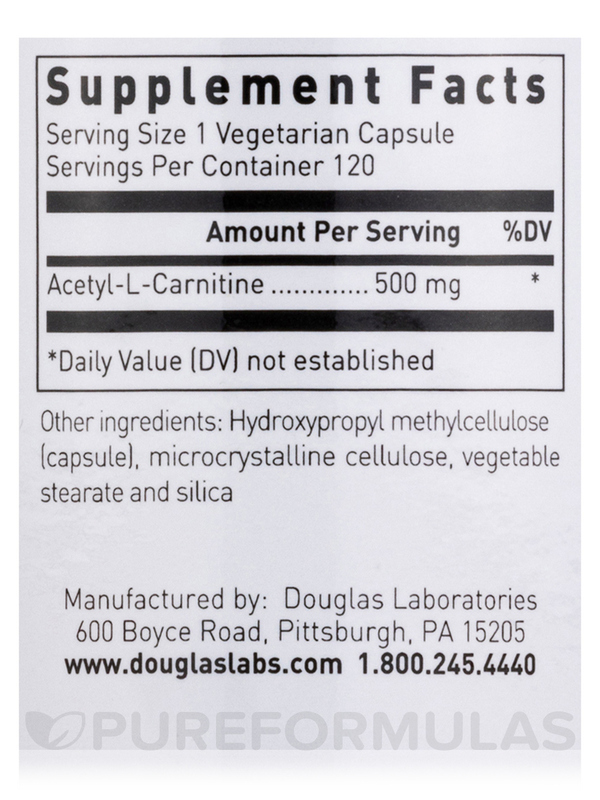 So glad to find Acetyl-L-Carnitine by Douglas Labs. Wish it came in 1000 mg.
Im prescribed this amino acid trough my health care professional. 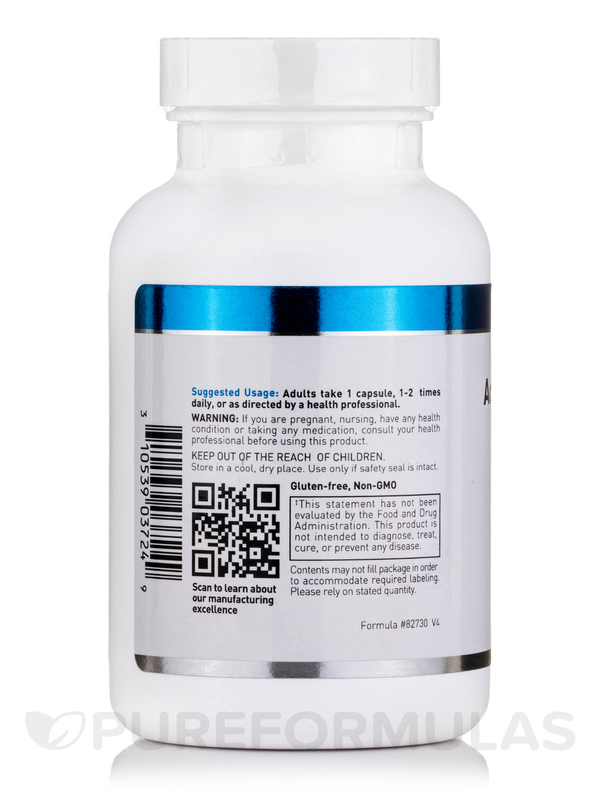 Especially when it comes to brain health I think its vital to ensure procuring oneself a very high quality product and this company has a great reputation and longevity that stretches back to the early years of orthomolecular practice. Incidentally - and this experience has not been duplicated (nor would I guarantee it would happen for anyone else) - the first time I took Acety-L-Carnitine (on an empty stomach) my brain felt like it took a protracted breath (pretty neat huh? ).